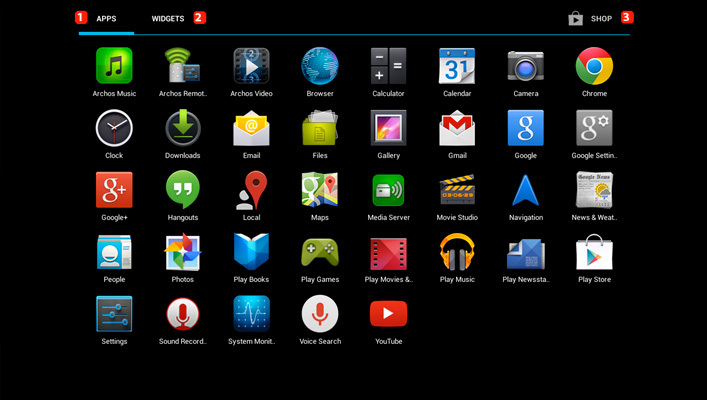 From the homescreen, press to open the All Apps interface (applications drawer). 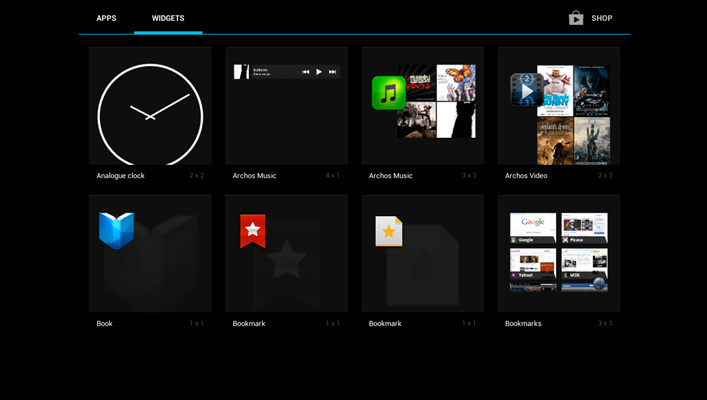 In the All Apps interface, all the installed apps are displayed. You can also display widgets. Swipe right/left to display other screens. Select the Widgets tab to display the widgets. From the All Apps interface, select an app to open it. Hold your finger on an application until the Bin icon is displayed . Release the app on the bin icon to uninstall. To create a shortcut on the homescreen, hold your finger on an app and release it on an empty space of the homescreen. To add a widget on your homescreen, hold your finger on the selected widget and release it on an empty space of the homescreen.